The merger between Great Finds and Lee River Collections has resulted in a fabulous new Winnipeg fashion boutique — Great Finds & Lee River. Exquisite, describes the look and feel as you walk in. Staff are excited to show you all the bright new fashions and decor. Our great service and customer care will continue at the heart of our store. Our location is the same as our former store — in the Southdale Square Mall (off Fermor Ave.) 160-115 Vermillion Rd. See you there! Winnipeg women deserve something beautiful, extraordinary and “special”. Some little treat or treasure to brighten up an outfit, accent a corner of your home, yard or office, and put a smile on the face of someone you love. It’s all here — the most eclectic and affordable women’s fashion and home decor boutique — at Winnipeg’s own Great Finds & Lee River. The owners, Laurie Carey and Shauna Hlady, believe they learn about their business by listening to their customers. A visit to Great Finds & Lee River Ladies Boutique and Gift Shop often sparks a visceral reaction in customers. Great Finds & Lee River wants to help Winnipeg women look as beautiful on the outside as they are on the inside. We look for exciting and unusual, affordable fashion pieces that will keep you in the Winnipeg fashion scene. We carry a full range of styles and sizes so our customers feel their best when they leave the store. Come in today and see all our great fashion ideas. Whatever your mood — fun and funky or sophisticated and chic — you’ll find it at Great Finds & Lee River. Great Finds & Lee River wants to be your “go to” fashion boutique in Winnipeg for Plus Size Fashions. We have an exciting range of clothing designed to meet your fashion needs. No more struggling to find funky, fun and chic styles. Look no more — in Winnipeg Great Finds & Lee River is your fashion boutique. Visit us soon. 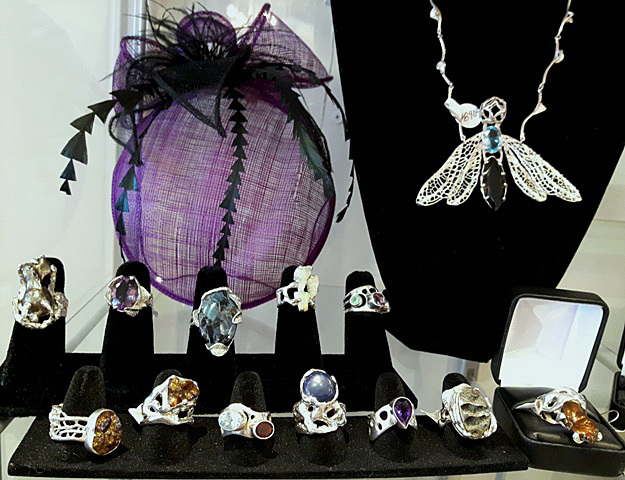 Fabulous fashion jewellery is at Great Finds & Lee River in all shapes, sizes and motifs. You will be absolutely dazzled by what we have in store for you. 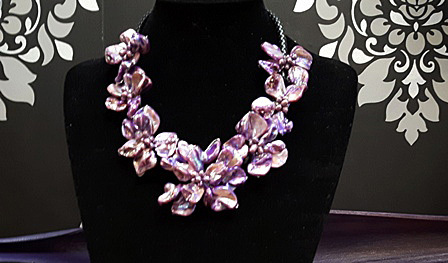 Visit Great Finds & Lee River Ladies Boutique and Gift Shop soon and find that “just right” piece of jewellery that will make you a show stopper at your next Winnipeg gala evening. HaramaraH Jewelry – .950 Silver and Precious Stones Made in Mexico. Each piece is a handcrafted original. At Great Finds & Lee River, Winnipeg women can be confident that we know how to complete your look. Great shoes are an essential accessory!. Come in and see the great looks waiting for you. There's always something new at Great Finds & Lee River! Visit our retail location in the Southdale Square Shopping Centre in Winnipeg for a truly unique shopping experience every time.